Unfortunato is overwhelmed by movement and shiny things and life in general. Unfortunato is my last Junefae 2018 fairy, officially. I'm still catching up on in-house projects after spending two weeks in a hand brace last month. 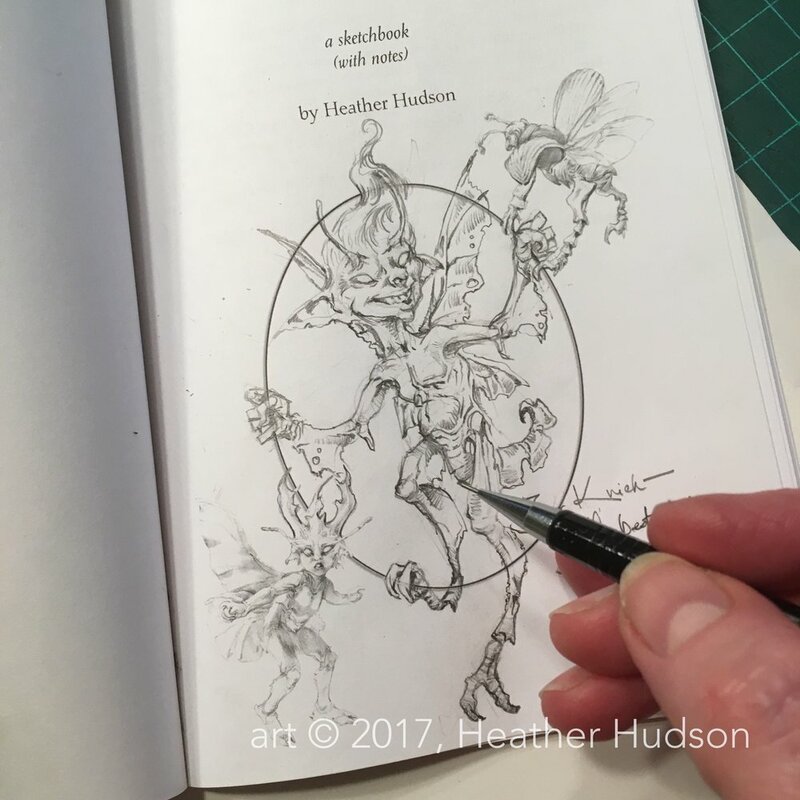 The hand is doing well, but the projects are still in the studio when I thought I'd have the month (more) open for fairies, so the fairies have been curtailed this year. Alas. I will write one more fae story from the Other Side of the Wood, which you can read on my Patreon on Friday. You can check out previous stories here, here and here, If you'd like to find out more about my on-going "Other Side of the Wood" project, follow me on Patreon for more art and stories.